Eos Navigator update 2.1 is now available! Eos Navigator is our next-generation estimate management system. 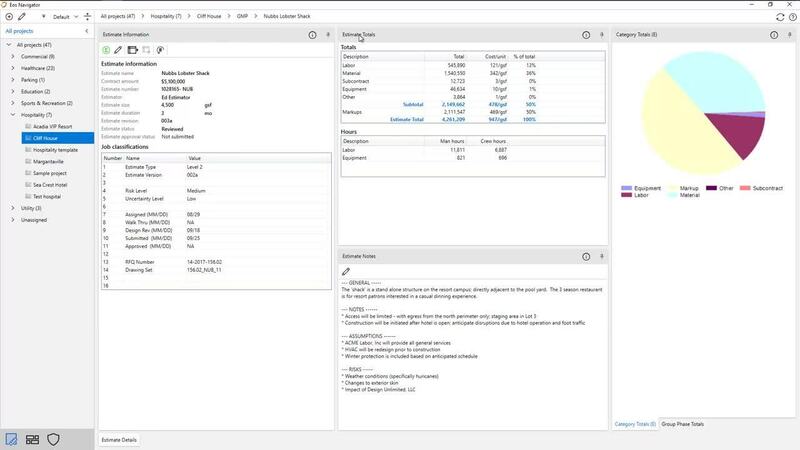 Building on Eos Explorer's groundbreaking success, Eos Navigator provides the tools that today's organizations need to manage the estimating process across the enterprise. "Eos's data integration service has given Kinsley peace of mind knowing that all project data in Viewpoint, Eos Navigator, and Sage Estimating will be synced on a daily basis–providing the preconstruction team with more time to focus on the details and less time on data entry." "We're very excited about our continued partnership with Eos Group and their ability to deliver innovative features with Eos Navigator."